What happens if you don't use positive reinforcement to train your dog? You'll have to rely more on force, which has many disadvantages. Not the least of these is that people dislike using force on their dogs. It is unfortunate that some dogs never get trained because owners who have been exposed to training based mainly on force, and don't like it, ultimately give up on dog training altogether, wrongly assuming that all training is done the same way. Their dogs are then doomed to live in a household where the owner cannot effectively communicate with them. The natural resistance of some dog owners to cause their dogs pain or discomfort is often looked upon by other dog trainers as a lack of character on the part of the new dog trainer. I'll never forget sitting at a seminar for dog obedience instructors and listening to the lecturer saying thankfully, "Trainers become less squeamish as they go along." While using force to train a dog is necessary at times, no one should be forced to lose their inhibitions against causing their dog discomfort. A major disadvantage of force is that it does not tell a dog what to do, only what not to do. A classic example of this problem is seen when people attempt to housebreak a dog by using punishment. The dog is punished whenever he relieves himself in the house. Sometimes what the dog figures out is that in order to avoid punishment, he should be careful not to relieve himself in the presence of his owner. Instead, he will wait until he can get away from his owner to relieve himself in another room or behind the sofa. Taken to extremes, this can result in a dog who will not relieve himself outside when walked on leash because his owner is present. After a lot of suffering, these dogs often end up dead at a Humane Society facility because they supposedly couldn't be housebroken. Another disadvantage of relying on force to train a dog is that after receiving many small punishments for not performing properly while being trained, the dog reacts by trying to avoid the training situation or even the trainer altogether. Because punishment doesn't let the dog know what the owner wants, the dog may not know how to stop the punishment. When this happens, the dog can develop a sense of helplessness and become depressed or neurotic. Eventually the owner's relationship with his dog may deteriorate to the point where the dog avoids him. This happens with many dogs who come to me for help after their owners have taken an obedience class in which training is based on force. When the training leash and collar come out, the dog tries to hide or run away. One woman had the frightening experience of having her dog run away in the middle of an obedience class that was being held outdoors under lights after dark. After 45 terror-filled minutes of searching by driving through fields with her car, she found her dog huddled against a fence, equally frightened. A dog with a more assertive personality may bite to stop the punishment. One student in a class of mine had that happen to him when trying to teach his German Shepherd, Kahn, to stand on command. I saw Jim give Kahn a command to stand, but he pulled upward on the collar, which was the signal to sit. Kahn, a handsome dog of good temperament, was confused and didn't stand. I explained to Jim what he was doing, but he ignored me. While I was busy with someone else, Jim lost his temper and got rough with Kahn because he was not standing. After a warning growl, Kahn bit Jim—not hard enough to break the skin, but enough to get his point across. Another disadvantage of force is that often the dog only obeys when on leash. If a dog is trained to obey in order to avoid being jerked on the leash, once the leash is removed, the dog's motivation to perform is gone, and so is his training. A skillful trainer with the right dog may be able to use force without incurring the disadvantages we have just discussed. However, beginner trainers are not skillful, and we don't all have the dogs with the right temperaments for this kind of training. 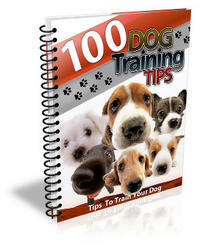 Since there is an easier, kinder way to train a dog, why not use it?